WHAT: Emerald Lounge and NY-based music-industry leader, Giant Step, continue their weekly series of Tuesday listening parties featuring some of the best new releases from well-known and up-and-coming artists, acts and DJs. These weekly listening parties not only feature new and established artists but also acts that are coming through town, providing Bostonians the opportunity to preview new music before catching a live show at a local venue. This Tuesday, Emerald will play songs from psych-pop gods, Animal Collective’s new album “Centipede Hz” along with new album tracks from indie rock siren, Cat Power, whose highly-anticipated album, Sun marks her return to new music after a six-year hiatus. These weekly listening parties feature things like album giveaways, artist trivia, concert tickets and other giveaways. Critically acclaimed as one of the new millennium's most important and inventive musical acts, Animal Collective has achieved success in releasing 10 albums since its inception in 2003. Their music is beholden to no particular genre; as the band often creates their signature sounds without the use of guitars, bass, or drums. 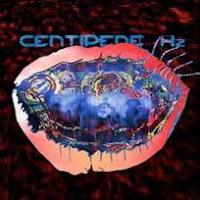 Centipede Hz follows the widely celebrated Merriweather Post Pavilion (2009) and is the first since Strawberry Jam (2007) to feature all four original band members. Sun is the 2012 studio album from Cat Power (which is the stage name of American singer/songwriter Chan Marshall.) She is known for her minimalist style, sparse guitar and piano playing, and breathy vocals. Billed as her most personal album to date, Cat wrote, played, recorded and produced the entirety of Sun by herself, a statement of complete control that is echoed in the songs' themes. This fall, Powers will embark on a world tour with a new band and play at the House of Blues in Boston on October 24th. 0 Response to "Emerald Lounge Presents: Wicked New Music - 9/4"